Adapt your TV Ads – use only native and pro Serbian voices, exactly from Serbia. We have a lot of experience in TV commercials and advertisements adaptation. 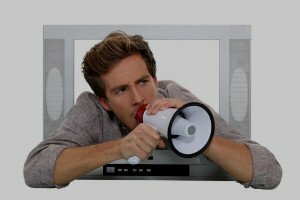 For us voice over recording for TV commercial is a unique form of communication with the target audience. If your company has a TV spot that needs to be localized, adapt in the Serbian language, contact us to check if our serbian voice talents are ready to work for you. The way in which a company transfers its advertising message is very important for the local audience in Serbia. Successful promotion of products or services, in addition to your high quality picture also include excellent performance of our voice talents in the Serbian language. You need only professional Serbian voiceovers for tv ads ? We are here to help you through the recording in Serbian. Commercial Voice Over Talents for Radio and TV Adverts provides high-quality voice over recording for you to use in your production. We enjoy in every new voice over recording for TV commercials.